Andy Harding, who has worked for the Shrewsbury-based caravan and motorhome dealership for 24 years, was delighted with the response from customers at Birmingham’s NEC. 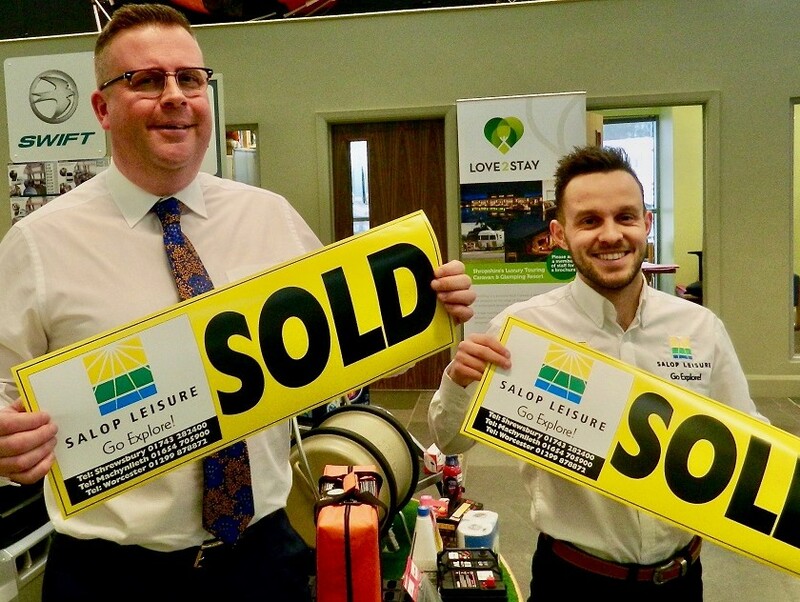 It’s the first time Andy has secured top awning sales at the leading national show, which ran for six days and featured more than 400 exhibitor stands from across the UK and Europe. Andy, who is manager of accessories and premises at Salop Leisure, was on the Kampa stand and sold over 100 awnings. Andy, who lives in Meole Village, Shrewsbury, said: “I work in a nice industry with nice people and customers. It’s a pleasure to deal with them and I really enjoy it. A lot of the people you see at the show are regulars. Wearing branded Salop Leisure and Love2Stay clothing also helps as it is such a strong brand which people know.